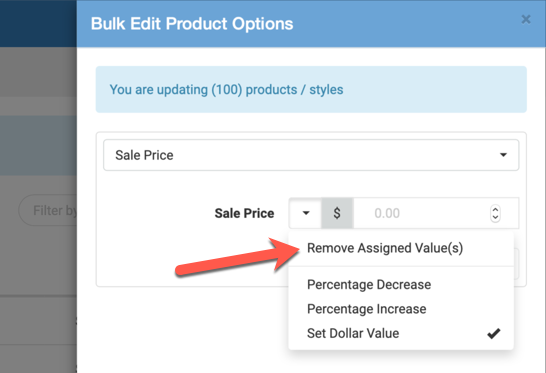 For products you select with the check-boxes on the main Products list page, you can now apply bulk edits to all major product attributes without the need for spreadsheets. Click here for more information. On the return of a RTO or RTR, we now calculate the remaining balance and have a receipt that can be given to the customer of what contract they have returned. Click here to see a video demo of this functionality. Added Make, Model, and Year columns to the bulk Edit Existing Products spreadsheet (accessible under Products > Bulk > Spreadsheets). Any time a new product is created through the vendor integration, it will be flagged as Needs Review. On the main Products page, we will display a message about these items, along with a way to view them and mark them all as reviewed. Clicking on a product and saving it will also remove the review flag. We currently have something set up that helps to stop duplicate transactions from going through. So we updated the web checkout so that it wouldn't stop very similar but still valid web orders from being submitted. 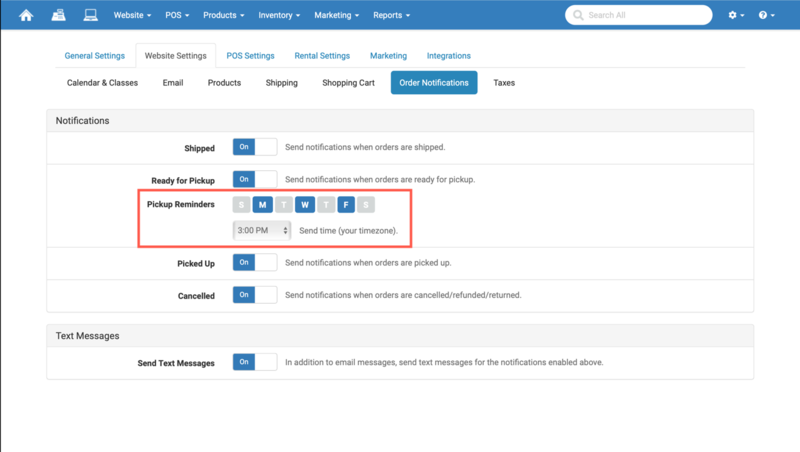 Added settings to the automated web order pickup reminders under the Order Notifications tab in Website Settings that will allow you to select the days of the week and time of day when reminder text messages and emails are sent. You can send these reminders during times they are most likely to be able to pick up the order (leaving work, lunch break, etc.). 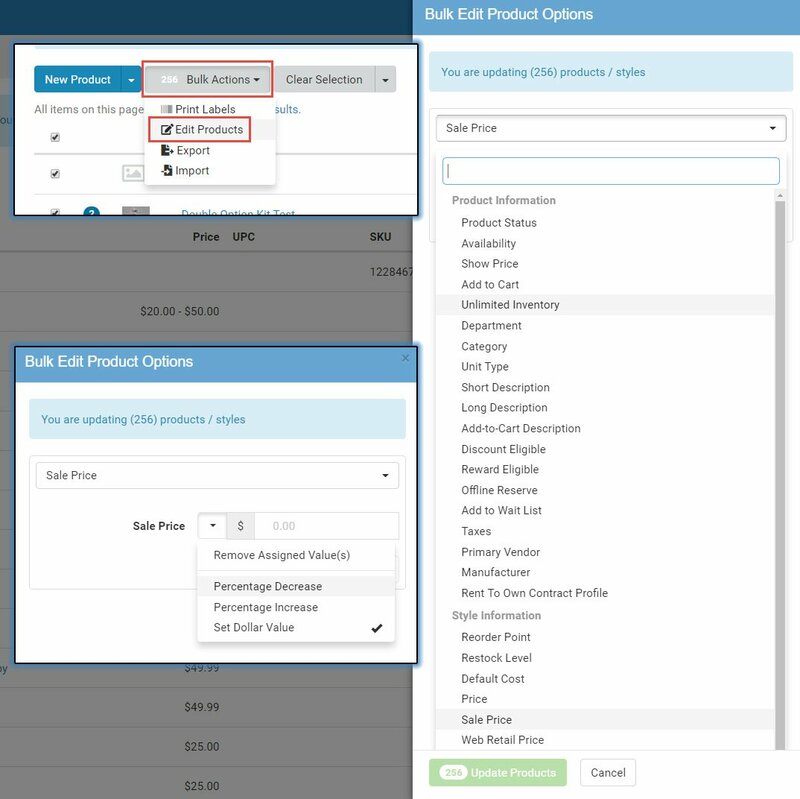 Enhanced the Bulk Product editing tools to allow for removing assigned values for certain product fields. 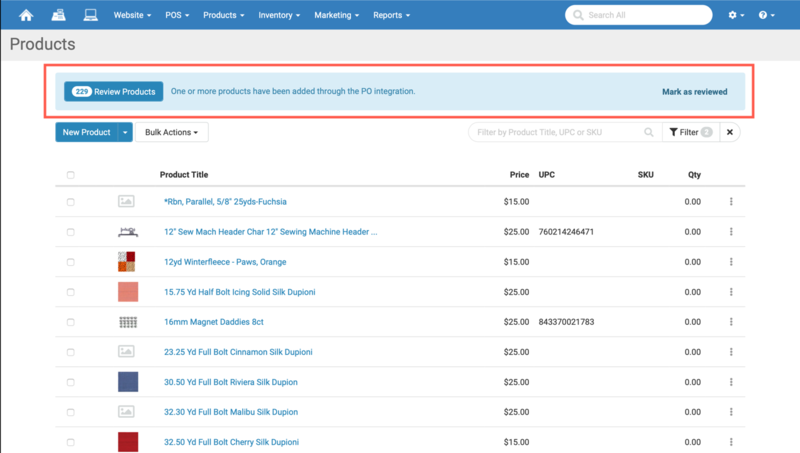 For example, you can now select multiple products and remove the Sale Price of those items after you finish running a sale. Or you can remove all category assignments. Supported fields are: Department, Category, Tax, Vendor, Manufacturer, and all Price related fields. We removed the following text from the Layaway printout: "The layaway will be canceled if a payment is late for more than 10 days." Fixed an issue where removing all items in the shopping cart that required shipping and leaving only non-shipping items would still charge shipping if a shipping method had already been selected before removing those items. Fixed an issue where the marketing material for upcoming classes wasn't respecting the new Draft status for the class. This caused classes in the Draft status to show up on the Upcoming Classes marketing email and on the Upcoming Classes landing page. Fixed an issue where certain web orders couldn't be voided and an error was displayed. Fixed an issue where web transactions using PayPal-controlled shipping methods were including a shipping charge on items such as digital download and/or classes. Disclaimer - this issue will still occur if shipping and non-shipping items are included in the same order. Fixed an issue where customers that sped through the checkout process before we finished calculating the zipcode-based tax, would be able to bypass paying tax at all. We now don't allow them to proceed to the payment page until the tax has been fully calculated.